This entry is mainly for public service purposes because relevant information was scarce when I researched my travel from Leyte to Bohol Island here in the Philippines. Here’s hoping this will be helpful to anyone traveling from Leyte who desires to venture to this all-encompassing island named Bohol. First off, for those traveling with a vehicle, as of February 2017, there remains only 1 cargo ferry which traverses Leyte to Bohol and vice versa and that is provided by the Medallion Shipping Lines in the port of Bato, Leyte. Departure is scheduled for 0900 but we didn’t get to leave until 1300 hrs. There are pump boats in Hilongos and Bato which sail up to 3 trips in one day if one is traveling without a vehicle. Single motorcycles can also be accommodated in the pump boats (believe it or not) but not 4-wheeled vehicles for obvious reasons. 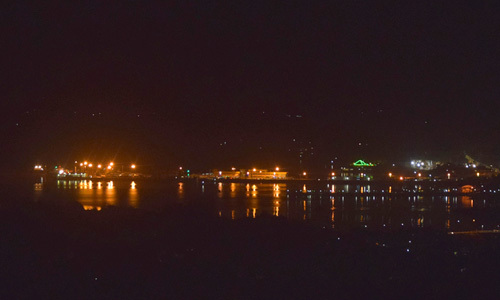 Bato's Plaza near the port. For those who do not know, Bato is in the southwestern side of Leyte, right after the town of Hilongos and before Maasin. 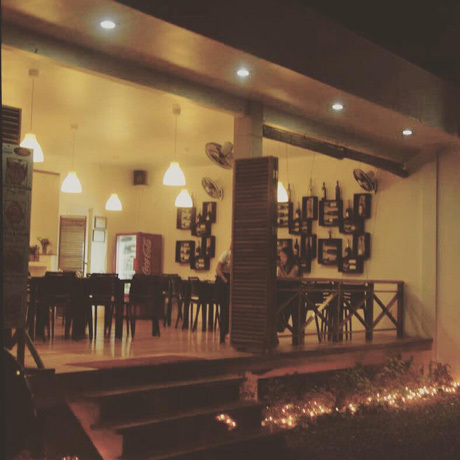 It is a small rural town and the port is it’s center, if you need to stay for a brief period here while on a budget, check out Three J’s Hotel for a little over P1400/night in Hilongos, it is clean (in a general sense) and is reasonable for an over-nighter. For splashier accommodations, the Citi Hotel which is foreign-owned and has a Shell petrol station in front of it, has better beds, sheets, is also very clean and has a restaurant on the first floor which features an international menu. If one does not wish to be bothered with the rigamarole of all that, simply schedule to arrive at 0700 at the Bato port because the Medallion office/window opens at this time. The Ferry Ride: if traveling with a vehicle, it is imperative one makes a reservation the day prior to the departure as the ferry might already be at it’s maximum weight and there will be no guarantee one will make the trip. The cell phone number is: 0932 151 7908 and they will ask for info of your plates and make and model of your auto. Motorcycles cost P1,300.00 and 4-wheeled vehicles cost P2,400.00. Fare for a single person is around P240.00, this does not include the terminal fee of P15.00. On the whole, we paid P2,748.00 for a 4-wheeled vehicle and 2 travelers. As previously mentioned, the ferry was scheduled to leave at 0900 but did not do so until 1300. 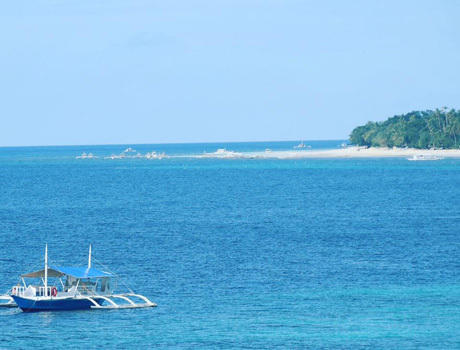 Travel time is 2 - 3 hours from the port of Bato to the port of Ubay, Bohol. The port of Ubay in Bohol (if one surveys the map) is at the opposite end of the swanky Panglao Beach and Tagbilaran City but be not dismayed; since the whole island is only roughly half the size of Leyte, the trip from Ubay to the other end of Panglao will only take 2 hours and 15 minutes. For all intents and purposes the tourist hive of Panglao specifically Alona is foreign and barely resembles the Philippines. Think an intimate beach village like the ones in Sarasota and the Keys but with an Asian flare. By "foreign" I mean this: the sari-sari stores, multicab transportation, sikad-sikad bicycles with sidecars, mounds of rubbish on the side roads, pot holes on the streets and shanty town clusters have all been done away with. 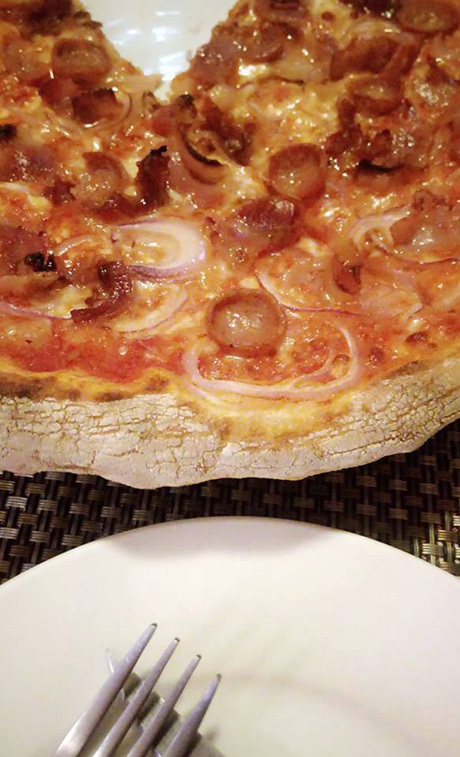 There are only private vehicles, Vespa-type scooters for rent, convenient stores at every quarter of a kilometer and honest to goodness international gourmet restaurants. On a side note I did see single motorcycles which appear to transport people all over Panglao but they are unmarked. Big buses and jeepneys do exist but not around the tourist beltways. The beaches in Panglao except for the one open to the public located way out of the Alona area are governed by the resort hotels and can best be accessed if one is a part of their clientele. The roads on the nooks where the resorts are webbed through are not paved and perhaps they keep it this way on purpose to discourage the general public from readily venturing on these areas. 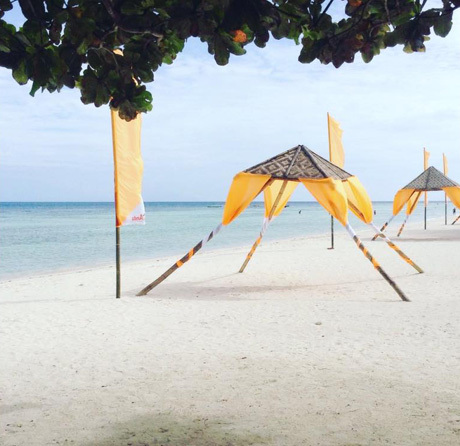 I had a better beach experience in Anda as it was more intimate, relaxing and the sands are more sugar-y. Cost for resorts range from: P3,000.00 to the upper P10 thousands OR $60 - $200 and up. 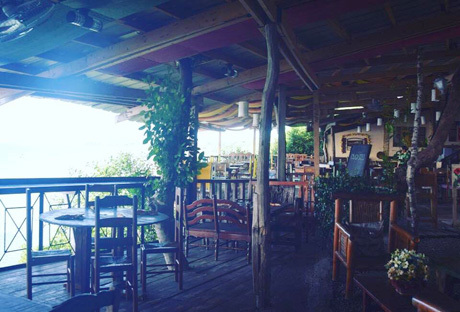 Average cost for restaurants in the Alona area range: P150’s - P800’s and up or $3’s - $16’s and up. Entrance to Luna Rossa, the village's most excellent vegetarian joint. This river cruise is straight forward but the route I believe has been shortened from when I was here last. Locals have informed us that the night river cruises are waning if not nil after the big earthquake in 2013. 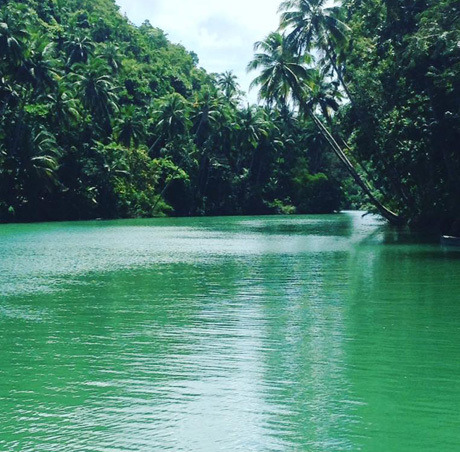 Located in the municipality of Carmen and closer to Bohol’s main city of Tagbiliran, the Loboc River cruise takes about 1 mile with bends and nature scenes through the boat ride. The cruise includes a nice lunch buffet meal and live lounge-y music in a makeshift catamaran. The river is pristine, a very far cry from any of ours in Leyte especially in the Eastern areas. There is only one station of performers left for the cruisers to watch, unlike before. Performances in said stop display Bohol’s hospitality and their sweet spirit. 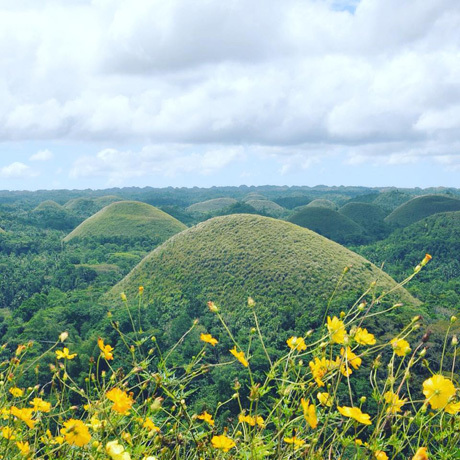 A majestic and mysterious creation of over 1700 mounds/hills spread all over a land area of 50 square km, the Chocolate Hills of Bohol is a sight to behold from where one will stand to view it and way far as the eyes can see. The grass of the hills are draped with greenish and brownish color and the mounds have that manicured-looking round shapes. One may view the hills at the highest peak at the Sagbayan Observation area. For Lepidoptera and flora lovers, come visit this one. 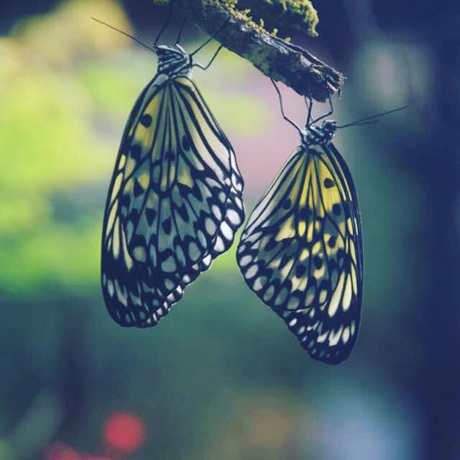 This butterfly garden houses many of the butterfly and moth species of the region. My sightings included eight beautiful kinds up close and personal. The center has hatcheries, breeding areas and an enclosure where one can admire the arthropods closely. A side note: butterfly gardens connote a peace about them right? So please try not to conduct business, yell at your cellphones or at each other especially when you are inside the enclosure. That really is just common sense isn’t it? Another area with butterflies is the Bonsai and Butterfly Farm which is in close proximity with the Habitat. Kite Paper Butterflies at Habitat. 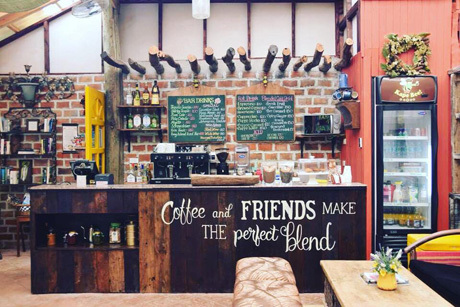 The conservation center also offers a night safari if one is interested in flying Lemurs and wild boar sightings; hiking and bird watching trips are also available. 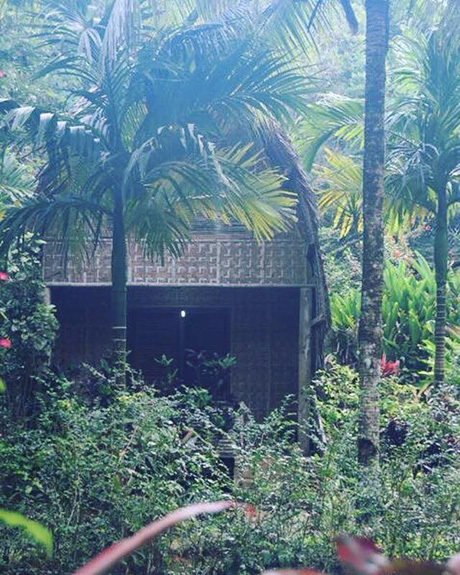 Got to spend one night of nature tripping in this 2-floor casita made of natural Amakan and wood materials. Though the casita includes the conveniences of a toilet and a hot and cold shower system, beware the palm-sized spiders falling while you shower and the Tuko (a 15-inch Gecko) keeping watch directly above your bed stuck to the nipa ceiling which may slip at anytime. It was a blessing to have the secret garden, the breeze, the moon (though only a quarter), and the sound of cicadas and all manner of crickets with different tones through our slumber. 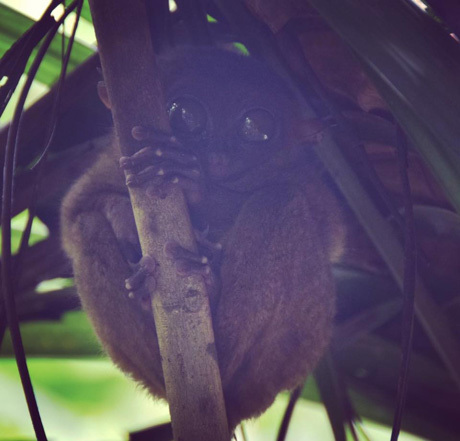 Bohol’s Tarsier Conservation Center is located in the Loboc area. The tarsier is the smallest primate in the world which measures only from 3 inches to 6 inches in height as an adult. They are indigenous to Southeast Asian countries like Malaysia, Indonesia and ours truly and is a threatened specie. The tarsiers are carnivores - bats, insects and some snakes are among their fare. They appear docile in the day as they are nocturnal; fuzzy, brown and cute-looking they are with their big round eyes and knobby knees and fingers clutching on trees. Caretakers of the conservation inform us their numbers indeed are dwindling as there are only 115 Tarsiers left in the breeding area. I wonder if exposure to homo sapiens are doing them harm? What with the microbes and viruses we harbor and all. Guys, meet my new friend Timmy the Tarsier. Bohol Bee Farm, a One Stop Shop Vacation Spot. I only got to eat here and wasn’t able to tour the farm because we were on a rush headed for the Anda municipality; from what I was able to survey, this resort alone is a "one-stop shop.” It has a restaurant (Lantaw), coffee shop, extensive herb garden, bed and breakfast and offers boat trips to neighboring islands for snorkeling and diving, as well as diving courses. 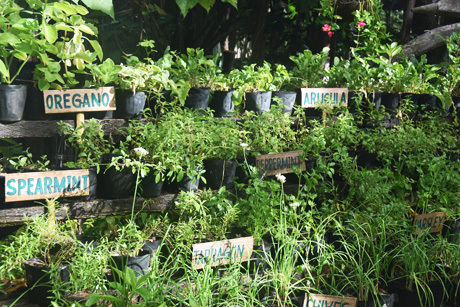 All food items are made from organic fruits and vegetables raised from their farm including coffee blends. I might be able to give a more extensive narrative if and when I am able to return, God willing. Meals at the BBF cost from the P100’s to P800’s or $2 to $16 or more. 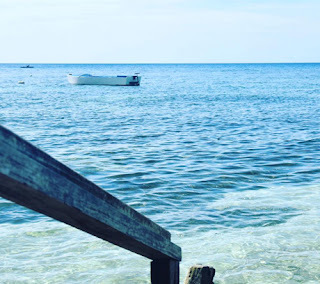 Because I was entreated by an important person not to tell anyone about Anda (for fear of it becoming overexposed), I will only divulge that it doesn’t do Anda justice to refer to it as an alternative to Panglao because as far as beaches are concerned it is a quite contender. Except for the Alona section of Panglao, reasons why Anda will be preferred by quality vacationers include the sugar sandy beaches, cave pools and other aquatic activities, after that, my lips are sealed. This is the capital city of Bohol and the center of commerce, this is the part of the island that has the congestion and a tad bit of dirt but their level of rubbish is practically non-existent compared to other cities including Cebu, Manila and Tacloban (sorry to report). 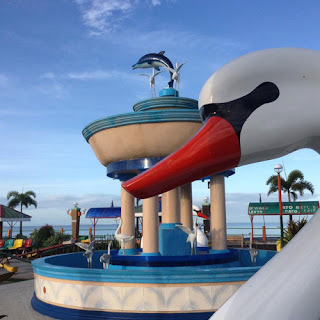 They have one major mall which is not the usual mega malls like SM or Robinson’s but it will do the trick; also, because the island is inundated with expats, specialty stores like the food supplies in Panglao will suffice for your cheeses, fruit and vegetable preserves and deli meats. 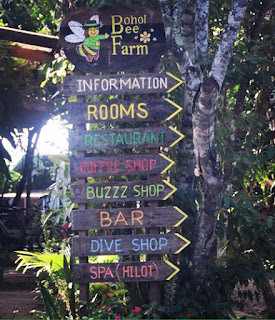 One can’t really find a worthy hotel in Tagbiliran itself, best just get the nature tripping huts by the river in Loboc or Carmen or luxe it up with the glam resorts in Dauis or Panglao. 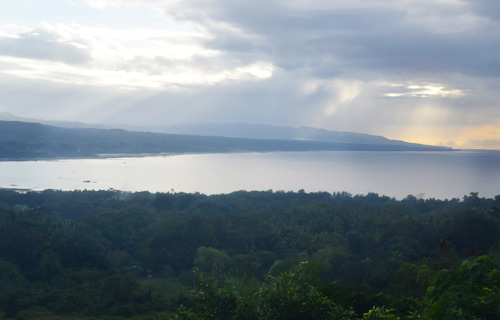 I want to mention the hotel atop the mountain in Dauis or right after the bridge heading to Panglao from Tagbilaran, it’s called the Bohol Plaza, the plus here is that it’s quiet, more or less clean and will give you the vista of the surroundings which is stellar. The downside, it’s old, a bit musty and the bathrooms aren’t designed efficiently. Vista of the mountains and the lake. With the rebound trip to Leyte much like the preparations from Bato to Ubay, Bohol, one needs to make a reservation a day ahead for vehicles to make the ferry. The cell number for reservation is 0942 989 7093. 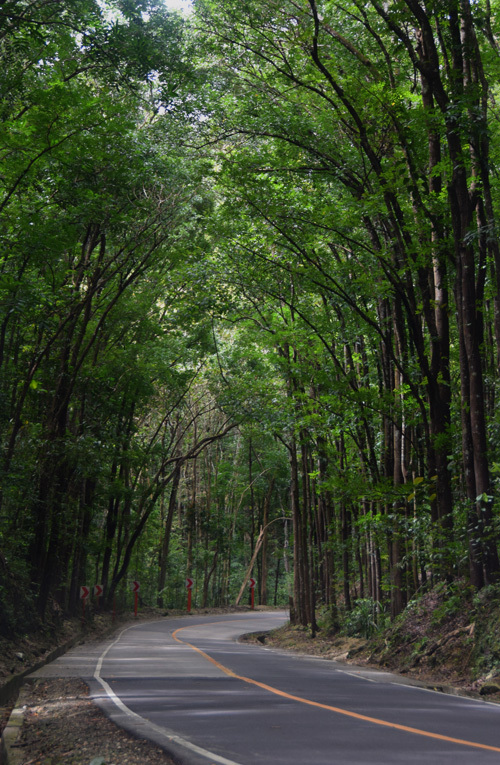 The experience on the way back is like a mirror image of the trip coming to Bohol but in reverse. One will wait up to 2-3 hours before the ferry leaves and travel time is up to 2-3 hours as well. The cost also sums up to the same amount (rounded off to P2,800 or $56 in total). Perhaps because at this moment Medallion is the only player in the ferrying business in the aforementioned 2 ports, this cost is exorbitant even compared to the ferries bound for Cebu or Manila from Leyte or Samar; to borrow from Miss Daisy, "Ah, highway robbery.."
In it’s entirety one will never tire of Bohol, I think it is the most viable island in the Philippines, sure Palawan, Boracay and other islands maybe snazzy but would a quality vacationer enjoy that quiescent, almost stress-free environment elsewhere? Not just the natural and man-made resources but the people too makes Bohol you see, for it is ingrained in them to be clean, courteous and to honor the resources God gave them. Pollution too was absent in the highways. It seems the citizens of Bohol are the ones taking the initiative to beautify the island so the success of their tourism is a reality and not merely wishful thinking. Here's hoping we all follow that example. The cascading mahoganies of Bohol. I hope you find this entry invaluable for your Bohol travel plans coming from Leyte, if you do end up going and decide to stay behind, I wouldn’t take it against you.